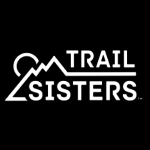 The American Trail Running Association, ATRA, was formed in mid-1996 as a Colorado not for profit corporation to serve the mountain, ultra & trail (MUT) running community. Our mission is to represent and promote mountain, ultra & trail running. We offer individual, club, race and corporate memberships. One of our primary benefits is our quarterly newsletter, Trail Times. Our newsletter includes a national events calendar, thoughtful articles, and timely information about our sport. Although most runners consider trail runs to be strictly an off-road and primarily a mountain experience, our definition of trail runs is fairly broad based to include not only mountain single-track trails but to encompass the oft paved pathways in rural and urban areas. We wrestle with the idea that a trail must deny motor vehicle access for consideration by our association since many out of the way places in the mountains have jeep or four-wheel drive access. For instance, the Imogene Pass Trail Race held each September is run almost completely on a jeep road with a start and finish on paved roads which flank the pass from Ouray to Telluride, Colorado. However, all who run certainly share the “trail experience.” Perhaps then, a trail run can be best defined through the experience one realizes during the activity. After a race such as Imogene, participant comments range from discussing the breath taking scenery which includes the awe-inspiring vistas from the summit located at more than 12,000 feet, to the gnarly terrain and unpredictable weather. Trail runs in rural or urban areas can be equally gratifying for the participant as he or she moves away from the highways and traverses areas that are usually near rivers (like the American River Trail in Sacramento), waterways (like the waterfront area in Chicago), parks (Central Park in New York closed to vehicular traffic on weekends and sporting a little trail jaunt off-road around a reservoir), or lakes (consider the numerous pathways around the lake system in the Twin Cities). With federal grants, many communities are building new trails in their cities or adding to existing trail systems. One no longer has to drive great distances to achieve the trail runners’ experience previously offered only in the mountains and out-of-the-way places. Communities are working to make existing trail systems more accessible, and better maintained to include signs and trail markers. Many urban trails offer an alternative for the highway commuter who would rather ride a bike to work or even run a few miles to the office. We are encouraged to see communities offering and supporting trails that can be enjoyed by varied user groups and we hope to secure positive alliance with the varied user groups through the American Trail Running Association. To ensure that organized trail runs are conducted in a fun, safe and enjoyable manner. 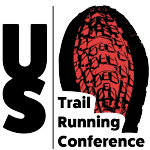 To provide a forum where the business of trail running can be discussed and organized. To create and nurture alliances with related organizations & associations. To be sensitive to the environmental impact of our sport. To be a source of up to date information about trail running. To educate and provide information about our sport to the rest of the running and outdoor community as well as to media and non-running organizations with similar goals and objectives. To increase recreational participation in the sport of trail running. To provide opportunities for families to enjoy trail running as a group through events and clinics. 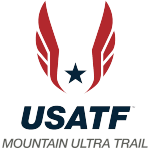 To support elite athletes & mountain, ultra, trail national teams through fundraising. To get regular updates from ATRA please click the link below and sign up for our monthly e-mail newsletter. For Email Newsletters you can trust – Powered by Constant Contact. You can make a tax-deducible donation to the American Trail Running Association via PayPal below. ATRA is a 501(c)(3) non-profit organization.